Anyone who’s followed me on-line for a while will know that I am a co-host and co-founder of a podcast/radio-show focusing on video games, memorably called The Games Cast. Recently we celebrated our 50th episode which, considering it’s our third attempt at a podcast series with longevity, is quite an achievement. When I say “Our” what I actually mean is myself and my two close friends, Paul Sunter and Duncan Simpson. Together we were responsible for the thirteen “rare” episodes of the Vagusnet podcast. 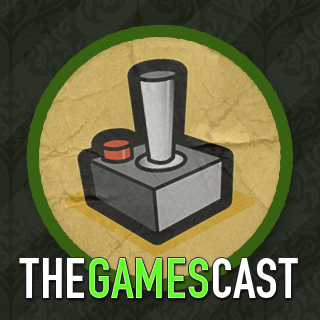 Things went awry and a few years later we came back with season one of The Games Cast. Worker management board games are something I quite enjoy but sometimes they can be a bit too heavy on the rules. If the first game doesn’t bed in the basic rules then the game has, in my opinion, too many rules. A worker management game has a greater learning curve than most board game styles and it needs an associated level of ease in the ability to understand the rules and run the game through the instruction book. I suspect someone with a maths degree, or a better understanding of algebra, can probably work out a graph of the relationship between the length of time a game should take against the ease at which you should be able to follow the instructions. The Manhattan Project is a great game but it’s let down by the overly difficult instruction book. With a worker management game you need a book that is going to take you through each step and for the first game it should almost hold your hand as you go through the steps. The Manhattan Project gives you lots of options and tells you how to complete each one but it never gives you the bigger picture – it doesn’t tell you why you should do something or what you, as the player, gain from the move the book is explaining. 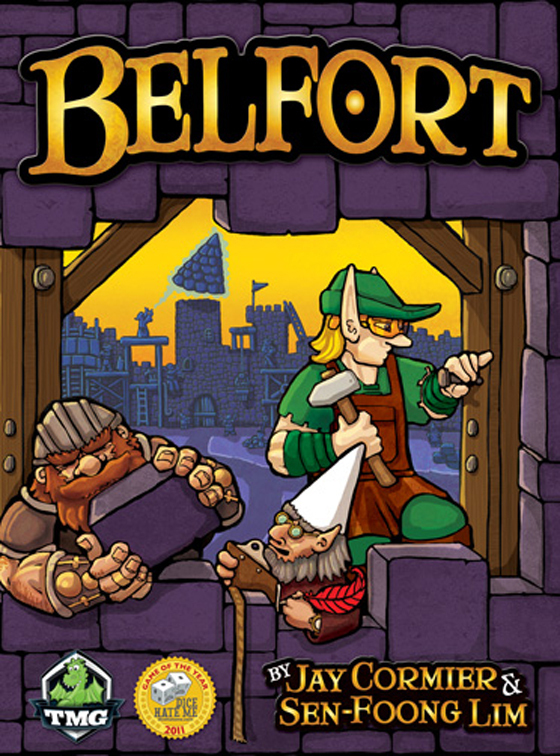 This brings us round to the new game of the weekend, Belfort. TableTop has an awful lot to answer for. The web-show, available at GeekAndSundry.com has recently made me something of a board game geek. In Episode 12 of TableTop the host Wil Wheaton is joined by Leo Chu, Casey McKinnon and Beth Riesgraf and together they play a game I had never heard of, called Dixit. 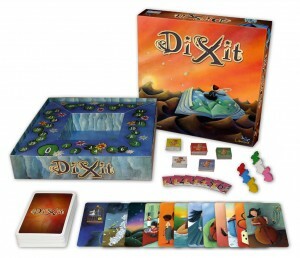 Dixit is a fantastic and fun game which tonight I was able to play with Amy and three great friends. The game features a great set of beautifully illustrated cards, each of which can tell a story. During the game you each take it in turns to be a “Storyteller” – from the six picture cards you hold you choose one and link a proverb, a book, movie or song title, or a reference to something to it. The other players then pick a card from their six which they think other people may think is the card you were holding. You can mix up the chosen cards and other players then “vote” on which card was the storyteller’s card. Whoever got it right gets to move their counter round the board.